Planter Boxes are supplied in component form without the need for metal fittings enabling easy assembly on-site. Ideally laid on an open permeable site, they may if required be placed directly onto concrete paving, provided a polythene liner is used to avoid soil spillage. 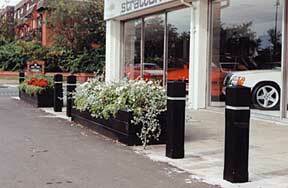 Co-ordinated range of Litter Bins which can incorporate galvanised mesh steel liners. 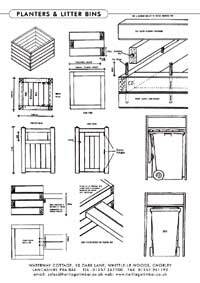 All Heritage Timber components will accept a wide range of stain finishes which can be specified before delivery or on-site after assembly.